I love tatted snowflakes. They are usually quick, easy projects with wonderful results. 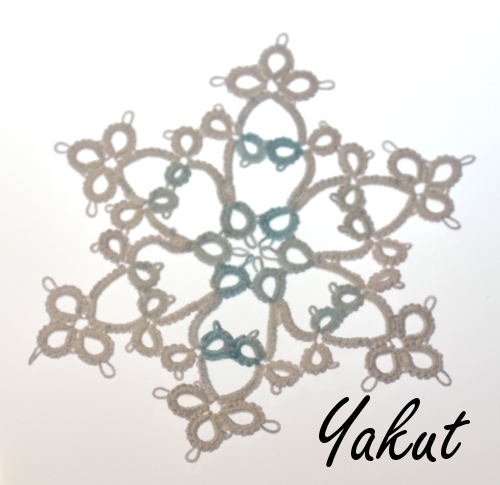 Elegant Tatting Gems by Jon Yusoff includes 18 snowflake patterns that only take about 1.5 to 5 hours each, depending on skill level. 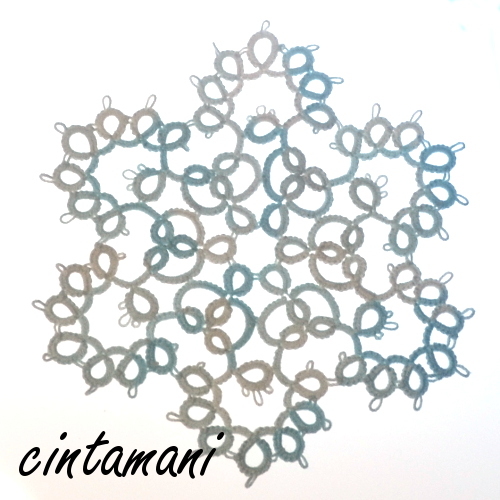 I was able to complete 13 of the 18 designs before I ran out of my selected thread. I tried to stretch it by adding in some white so if you are planning to do them all make sure you have 2 balls before starting. 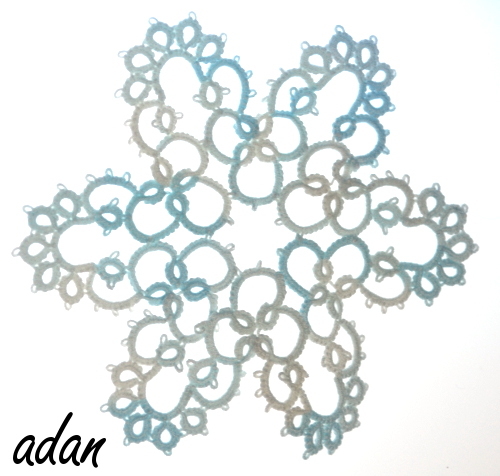 Each snowflake pattern includes a diagram and written instructions and a clear picture of the completed item. Patterns are easy to follow and several have interesting techniques that will challenge most tatters but are presented in such a way that beginners should be able to figure them out. Patterns requiring more than one shuttle are color coded to help the tatter know which shuttle should be used as the ball thread. The only problem I had with following the patterns is that the first half of the book is that the pattern and the picture are not visable at the same time when the book is propped open. 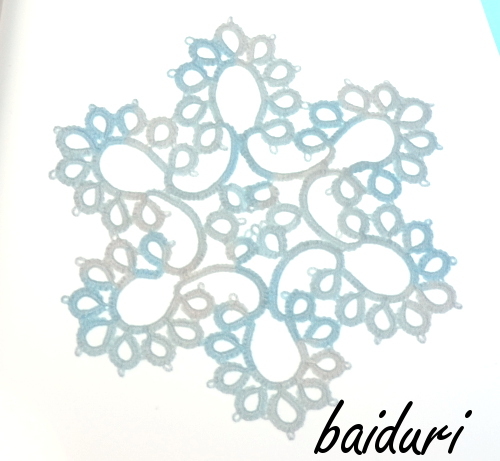 it can be disconcerting to be working on one diagram and looking at the picture of another snowflake. This is only for the first 9 patterns. The second half of the book the picture and the diagram are together. 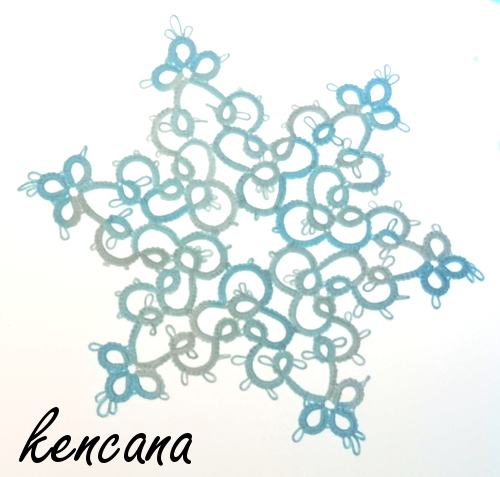 While some patterns seem to fall together into the same families, in my opinion, each snowflake has its own personality. None of the patterns include suggested placement for Magic Threads, tatters familiar with the technique should be able to discern proper placement before they begin. 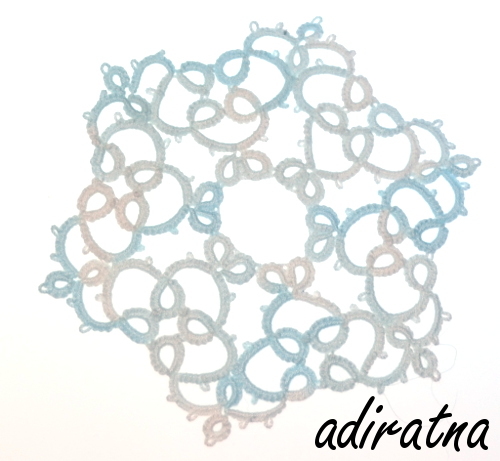 For most patterns, I included one in the first ring and the final chain. 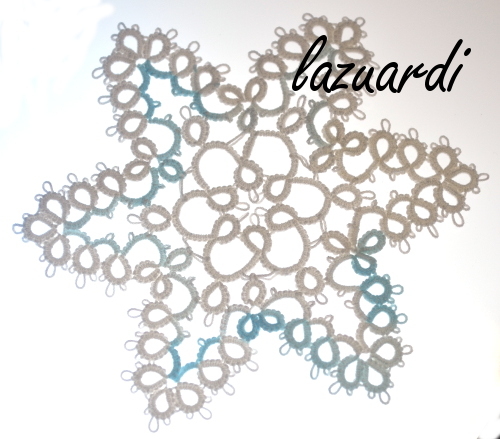 14 of the 18 snowflakes are completed using 2 shuttles wound CTM so once completed, there are only 2 ends to hide. 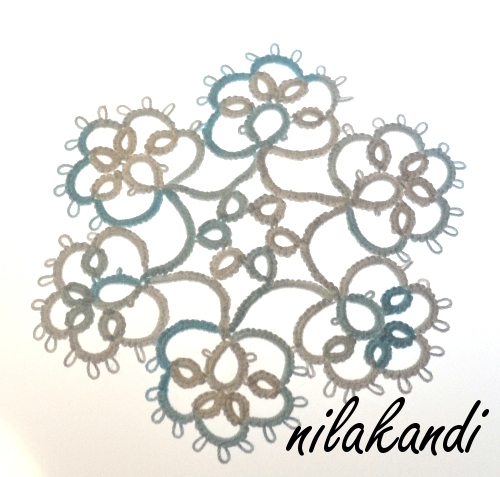 3 of the remaining patterns require 2 rounds and the last one calls for 3 rounds to complete. 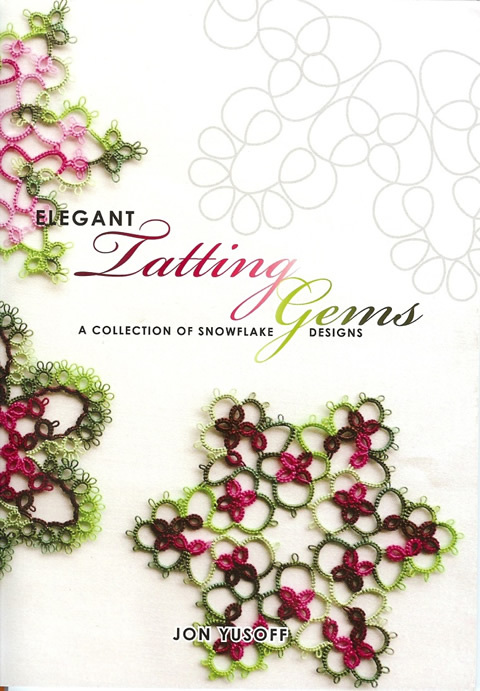 I really enjoyed tatting from this book. I would recommend it to most tatters. I know Jon Yusoff has 2 other books and I look forward to seeing if they are of the same calibre. Did I get it right? Please let me know your thoughts in the comments below. 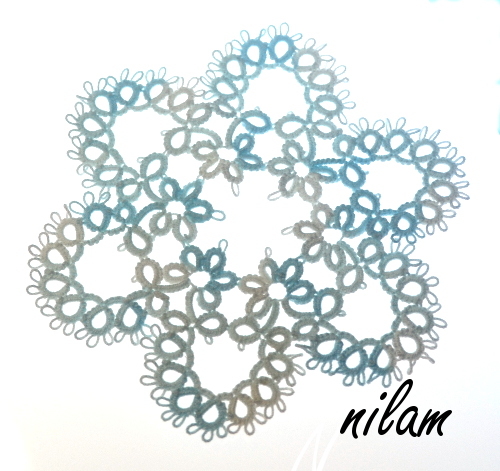 We would also love to see pictures of any snowflakes you have made from this book.